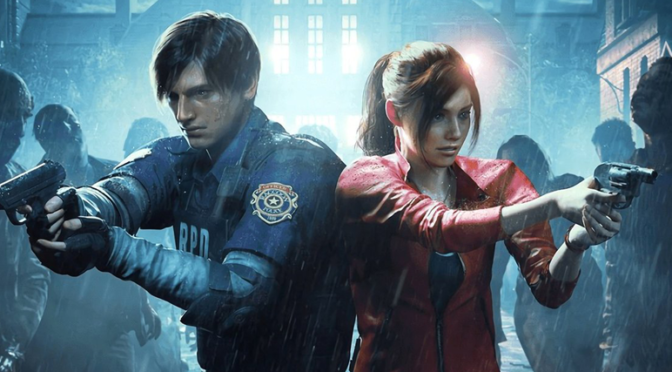 TVWeb is reporting a RESIDENT EVIL TV show is coming to Netflix. According to the report, Constantine Films, the company in-charge of the on-screen rights for the franchise, is working with Netflix to bring the zombie franchise to the streaming service. First started as a video game from Capcom on the original Playstation, it’s since become a multi-movie franchise starring Mila Jovovich, and directed by Paul WS Anderson. The movie franchise recently wrapped with 2017’s RESIDENT EVIL: THE FINAL CHAPTER. Though there have been reports that the movie franchise is currently undergoing a reboot, the TV series is going to be more focused on the games, rather than LOOSELY based on as the movies have more and more become. Personally I LOVE the idea of RESIDENT EVIL being developed as a TV series. Maybe not with Paul WS Anderson and his Constantine Films. But definitely love the idea of this as a TV series. Just looking at the games, you can easily see how a more serialized storytelling would suit the idea of RESIDENT EVIL so much better than the movies had. Honestly, with what, seven games? You could adapt each game into a season, and that would be amazing! Sounds like this is early in development as they’re currently looking for a showrunner. But I’m definitely hopeful to see what shape this show takes. What are your thoughts about a RESIDENT EVIL Netflix show? Drop your thoughts on the Fuzzbug Facebook Page.